The Syrian government has now cleared Damascus and Damascus countryside of insurgents and the Islamic State. Therefore the government's control of the country's most important center of power can no longer be challenged by its rivals. Many areas in Damascus and its countryside have been brought back under government control through "reconciliation" agreements. One may be inclined to turn one's attention away from these areas since there are no longer reports of battles and airstrikes coming from them that make for "interesting" news and updates. In my view, however, such negligence is highly mistaken. Keeping track of reconciled areas helps us to address key questions regarding Syria's future. Is the Syrian government truly able to pacify these areas that officially come back under government control? How far can it restore services for civilian populations in those areas? Can reconciliation agreements tell us something about the Syrian government's thinking in particular places? 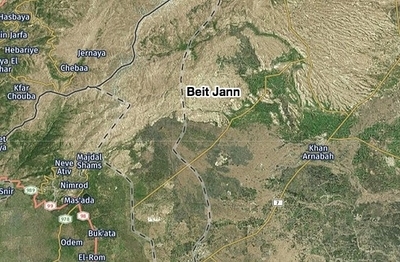 ​Beit Jann is located in the far southwest of Damascus countryside governorate in the vicinity of Mt. Hermon (Jabal al-Sheikh) and is very close to the borders with Lebanon and the Israeli-occupied Golan Heights. The Beit Jann enclave- consisting of the towns of Beit Jann, Mazra'at Beit Jann and the Druze village of Mughir al-Mir that was devoid of its original inhabitants after the rebels occupied it- was the last rebel-held enclave in southwest Damascus countryside by mid-2017. Continued rejection of reconciliation proposals- which had been implemented at the start of 2017 in the nearby villages of Kafr Hawr, Bayt Tayma and Bayt Saber- led to an offensive on the Beit Jann enclave beginning in September 2017, primarily led by the 7th and 4th divisions of the Syrian army. Beit Jann and the wider border areas with Lebanon and the Golan Heights. By the turn of 2018, a reconciliation agreement was struck for the Beit Jann area amid the military pressure on the enclave, with the media personality Kinana Hawija playing a leading role in negotiating the reconciliation just as she had done in Kafr Hawr, Bayt Tayma and Bayt Saber. The government's military intelligence (specifically branch 220) and Russia also supported the reconciliation process. Rebel fighters who accepted the reconciliation agreement would undergo taswiyat al-wad' ("regularizing one's situation/sorting out one's affairs"). The rebel fighters who rejected the agreement were required to leave the area. Unsurprisingly, many if not most of those fighters who rejected the agreement were not originally from the Beit Jann area. Furthermore, many of those who left Beit Jann were members of the jihadist faction Hay'at Tahrir al-Sham. With the beginning of the implementation of reconciliation, one of the first changes in life was the restoration of national grid electricity to parts of Beit Jann. As the head of the reconciliation committee for the Mt. Hermon area (who is originally from Beit Jann) explained to me: "The electricity returned from the first days after the insurgents left, but in some places it has not been made to function entirely because of the destruction that the insurgents left behind. And the government is to be thanked for continuing to repair the electricity with absolute earnestness." A former commander in the Jabal al-Sheikh Brigades who still resides in Beit Jann says that the national grid electricity currently amounts to around 6 hours per day, and that improvement "will take time more or less." In contrast, municipal office services, such as garbage collection and cleaning of the streets, have not yet returned to Beit Jann, as confirmed to be by the head of the reconciliation committee for the Mt. Hermon area. The Syrian government has made some efforts to try to bring back refugees and internally displaced persons who originate from Beit Jann. For example, a refugee in Lebanon from Beit Jann told me in late January 2018 how he was registering names of refugees from Beit Jann residing in Lebanon who wished to return home. At the time, he said he had registered 250 people to return, but none of those he had registered had returned yet to Beit Jann, although other individuals had returned on their own initiative. He said he had been entrusted with this task of registering names of refugees who wished to return by the reconciliation committee based in Mazra'at Beit Jann (presumably referring to the Mt. Hermon area reconciliation committee): once he referred the registered names to the committee, the names would in turn be referred to the Syrian government. As of the present time, the head of the reconciliation committee in the Mt. Hermon area says that some 500 displaced people have returned to Beit Jann, and that another contingent of returnees is due in July 2018. One thing that has delayed the return of some people is the fact that they are waiting for school exams to be finished for the academic year. But clearly there is also the issue of damage to infrastructure and people's homes. Perhaps the central issue though is the security arrangement for Beit Jann. Rami al-Makhlouf's al-Bustan Association, whose Dir' al-Watan group participated as an auxiliary force in the Beit Jann campaign, has set up a base in the area and has recruited some people from Beit Jann. However, of greater importance is the influence of the military intelligence's Hermon Regiment, which was created at the start of 2017, has mostly recruited former rebels in the Mt. Hermon area and also gets some funding from the al-Bustan Associaton. Multiple sources have confirmed to me that an affiliate of the Hermon Regiment has been set up in Beit Jann. The battalion has both former rebels and civilians in its ranks and is under the leadership of 'Moro', who is originally from Beit Jann and led the local rebel group Liwa Omar bin al-Khattab. Confirmations of the creation of this Hermon Regiment affiliate and Moro's leadership of it came from the Hermon Regiment itself, the head of the reconciliation committee in the Mt. Hermon area, the former commander in the Jabal al-Sheikh Brigades, and a former commander in the Muslim Brotherhood's faction in Beit Jann (Harakat Shuhada' al-Sham al-Islamiya). The last of these sources gave an additional clarification that the town of Mazra'at Beit Jann has its own battalion affiliated with the Hermon Regiment under the leadership of one Assad Hamza, who was originally in the Jabal al-Sheikh Brigades but defected before the reconciliation and assisted the Syrian army in the assault campaign on the Beit Jann enclave. In addition, he noted that in the Beit Jann battalion, another key figure involved in the group is one Abu Ali Omar, who was a military commander in Liwa Omar bin al-Khattab. On the subject of numbers of personnel, the former commander in the Jabal al-Sheikh brigades claimed that 900 people have joined the Hermon Regiment's Beit Jann battalion. However, the former commander in the Muslim Brotherhood's Beit Jann affiliate says that this number is an exaggeration, and that there are 250 members of the Beit Jann battalion as opposed to 400 members of the Mazra'at Beit Jann battalion. Moro denied to me in late January 2018 that he had anything to do with the reconciliation, clearly intending to counter reports at the time that he was involved in the matter. As he put it to me: "I do not have any role in the reconciliation at all." One can think of multiple reasons why Moro might deny a role in the reconciliation: such as fear of facing problems from the government for making an "unauthorized" statement to the media in any detail, or embarrassment at being portrayed/the potential to be portrayed in the pro-opposition media as a "revolutionary" who betrayed the cause and became an agent for the Syrian government. The most controversial point about Moro is the nature of his relationship with Israel, which provided some support to the Beit Jann enclave and allowed some rebels from outside Beit Jann to transit and enter the area as reinforcements. Of the rebel leaders in the Beit Jann enclave, Moro is said to have been particularly close to the Israelis. Thus, for example, Ali al-'Awar, a pro-government media activist based out of the Druze village of Hadr in Quneitra that is near Beit Jann, was very critical of the news of the reconciliation in Beit Jann at the turn of 2018, characterizing Moro as the "Zionist lackey terrorist." 'Awar argued that "popular reconciliation has not been accomplished and will not be accomplished between the mercenary gangs of Israel in Beit Jann and Mazra'at Beit Jann and the peoples of the villages of Jabal al-Sheikh in general and from all the sects." The former commander in the Jabal al-Sheikh Brigades also affirmed that Moro had a close relationship with Israel, and pointed out that Moro would meet with the Israelis in the Golan Heights. According to him, among the aid that the Israelis provided were "ammunition, weapons, food and medicines." In a similar vein, the former commander in Beit Jann's Muslim Brotherhood affiliate also said that Moro would go to meet with the Israelis in the Golan Heights. It should also be noted that in addition to a Syrian phone number, Moro has an Israeli phone number with the +972 dialing code for Israel. The presence of Israeli numbers among residents living near the border with the Golan Heights is not unique to Moro however. One question that may arise is why the Syrian government has not arrested Moro. In fact, Moro seems to enjoy privileges. According to the former commander in the Jabal al-Sheikh Brigades, Moro has more freedom of movement than other former rebels living in the Beit Jann, in that he can go wherever he likes, whereas other former rebels like himself cannot go outside Beit Jann for the time being. Moro also receives a higher salary of some 50,000 Syrian pounds per month, whereas the former commander in the Jabal al-Sheikh Brigades, who is only an ordinary member in the new battalion affiliated with the Hermon Regiment, claims to receive a salary of only 15,000 Syrian pounds per month and complains that money intended for salaries is being stolen. He even goes so far as to say that "he [Moro] has become more or less the richest man among us in Beit Jann." Conversely, the former commander in the Muslim Brotherhood's Beit Jann affiliate says that the ordinary member salary is actually 25,000 Syrian pounds per month. Even so, he says that "he [Moro] is making deductions from it. The ordinary member's salary is 35[,000 Syrian pounds per month], but he gives him 25,." The former commander in the Jabal al-Sheikh Brigades claims that Moro's position is due to his possession of weapons: "He [Moro] has warehouses of weapons...We here are two factions: our faction handed over its weapons, whereas Moro's faction did not do so." These words touch on an important point surrounding reconciliation agreements: the agreements normally stipulate that insurgents should hand over weapons to the Syrian state. But do the agreements entail a comprehensive handing over of all weapons or is the handing over of weapons more of a symbolic gesture? After all, in al-Sanamayn in north Deraa province, for example, the reconciliation agreement has mostly left the rebel factions inside the town as they were before the agreement, allowing them to run internal security matters in the town themselves, creating problems of lack of law and order. For his part, the former commander in the Muslim Brotherhood's Beit Jann affiliate says that not all weapons were handed over, and that weapons as individual possessions could be retained, though all of them would be registered with the Syrian state. So what are the key implications of the reconciliation in Beit Jann? First, allegations of an Iranian-backed plan to clear out local Sunnis from the border areas with Lebanon are highly questionable. If there were a plan to clear out local Sunnis from the border areas, there would not be efforts to bring about the return of people to Beit Jann. Second, it is remarkable that a rebel leader who had a close relationship with Israel should now work under the auspices of the military intelligence's Hermon Regiment, since from the government's perspective, any collaboration with Israel is nothing less than treasonous. To be sure, there is no evidence that Moro is still in contact with the Israelis. However, the security arrangement in Beit Jann does make sense if the Syrian government's approach is pragmatic and the goal is to minimize trouble in the border areas. It is not in the Syrian government's interest for its immediate border areas with Israel to be cleared out and become bases for Iranian-backed groups like Hezbollah. The existence of local holding forces is one way to prevent that outcome. Some may argue that the al-Bustan Association connection makes the Hermon Regiment an "Iranian" project of some kind, but this argument is unconvincing. One should avoid generalizing too far. Hezbollah does have a presence in the wider southern Syria area, such as its base in the "Triangle of Death" area, and it has recruited people from southern Syria within the Syrian Hezbollah movement, including from Deraa province and the Druze village of Hadr in Quneitra province. In the end though, reconciliation agreements along the lines of Beit Jann in the south- whereby local rebel forces, even ones that had dealings with Israel (e.g. Fursan al-Jowlan in Jubatha al-Khashab), become the holding forces post-reconciliation- may be the only acceptable outcome for the relevant parties (the Syrian government, Russia and Israel) to minimize trouble. The final point to consider is whether the debates about the border areas and other regions in Syria have been too narrowly focused. Amid the extensive interventions by various international actors, it can be easy to forget the civil war aspect of this conflict and the question of how the social fabric is to be mended in the aftermath. ​As the case of the Beit Jann reconciliation shows, there can be tension between the imposition of reconciliation agreements on the one hand and feelings of grievance/desires for "revenge" for "martyrs" on the other, particularly when localities in proximity to each other have been on opposite sides of the civil war. Does current analysis of the future of Syria really explore this line of thought adequately enough? 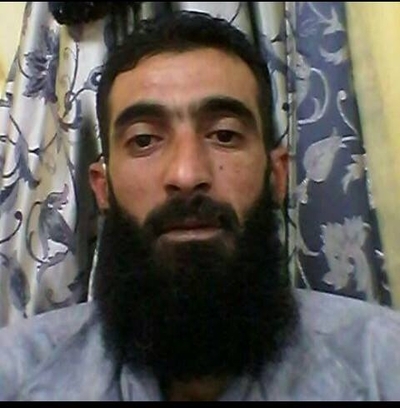 Update (11 July 2018): Assad Hamza was killed yesterday, apparently in a personal quarrel with another member of the Hermon Regiment in Mazra'at Beit Jann.